These days, parents have a multitude of options when it comes to keeping track of their kids. They can call, text, or even use child locator services. But kids don't like having to call mommy while they're hanging with their friends, and they most certainly resent being tracked by a mysterious Big Brother service. Nearparent is a beta app for Android that might achieve the delicate balance between mutual respect and parental concern. 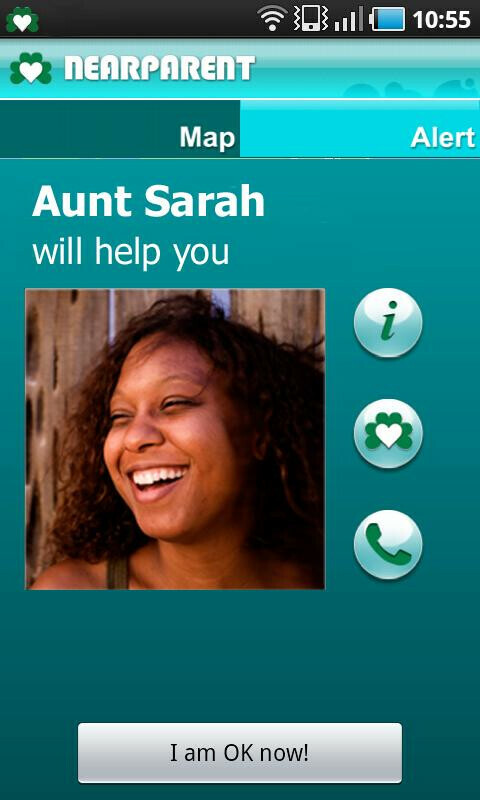 Kids can use the app to check in occasionally, letting parents know that they are okay. But there are also check-ins to indicate a need. 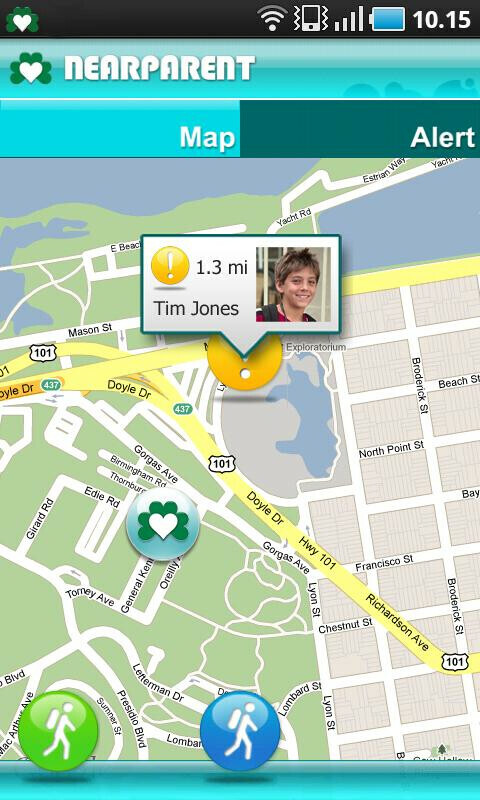 A yellow check-in lets the parents know that they need basic assistance, and a red check-in signifies urgent need. In order to provide a constant support net for the child's potential needs, the parent can assign a trusted network of adults that can be notified if the parent is unavailable. That way, you don't have to be scared of being too far away from your child, or have a panic attack if your battery dies. 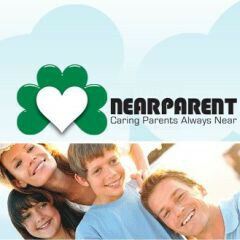 Nearparent, which is compatible with Android 2.1+, is currently available for free from the Android Market. 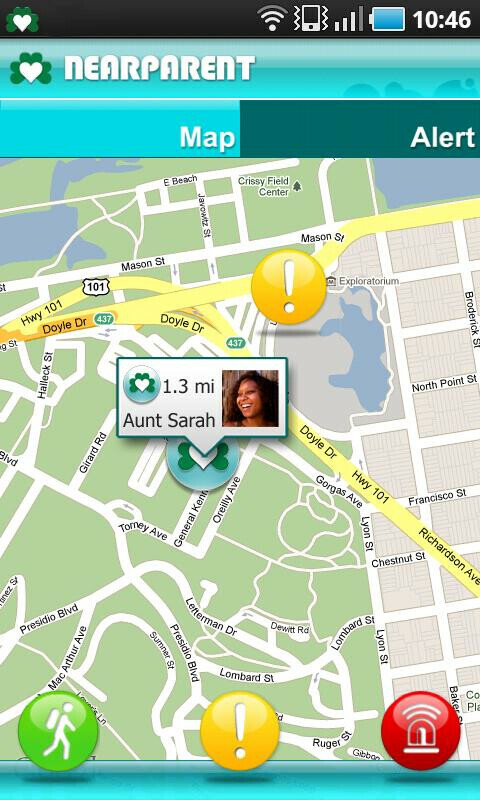 Run it past your kids and let us know what they think: Is it any less invasive than a simple child locator service? It's 6:24 PM on a Wednesday. Do you know where your children are? If they all have cell phones, it would be ridiculous to suggest you simply call/text to verify their whereabouts. Or, I don't know, advise your child to let you know where they plan to be and at what times?